We achieved impressive results. 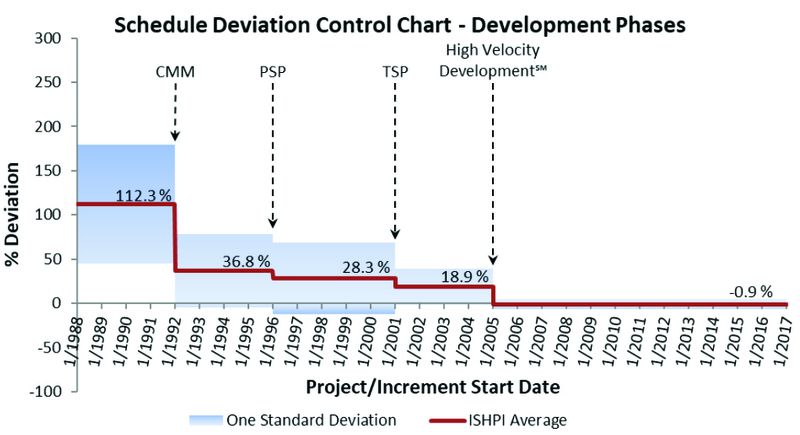 The graph below demonstrates ISHPI’s schedule estimation capability improvements starting with ad-hoc development through the implementation of our process improvement initiatives, including adoption of CMM, PSP/TSP and incorporation of industry best practices in our CMMI Maturity Level 5 appraised Agile High Velocity Development processes. 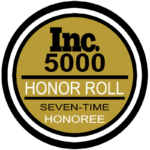 For example, our engineers submitted more than 1,800 individual Process Improvement Proposals (PIPs) and evolved the organization process from Level 1 to Level 5, of the de facto industry standard Capability Maturity Model Integration (CMMI). One of the benefits of a high maturity workforce is what we call Level 5 behavior that ensures that the organization will improve continually and forever because of its people. 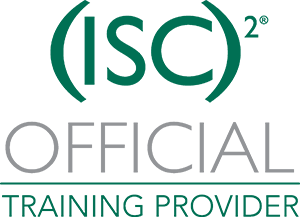 A team of 17 recently delivered more than 680,000 lines of VB.Net and SQL code on time to a federal agency on a firm fixed price contract. There has been no voluntary staff turnover on this project during development. For about half the team members, this was their first job straight out of college. Since release (Sep 2011), the system has had zero downtime due to software bugs in production use. We achieved results far superior to industry averages for rework reduction, early defect removal, improved customer satisfaction and predictable outcomes for cost, schedule and quality.